Apple announced its annual upgrade of the iPhone line yesterday. The entire new line takes on the edge-to-edge screen first introduced last year with the iPhone X. The new iPhone XS (5.8″ screen) and XS Max (6.5″ screen) are the top-of-the-line models and the iPhone XR (6.1″ screen) is the new “affordable” option. 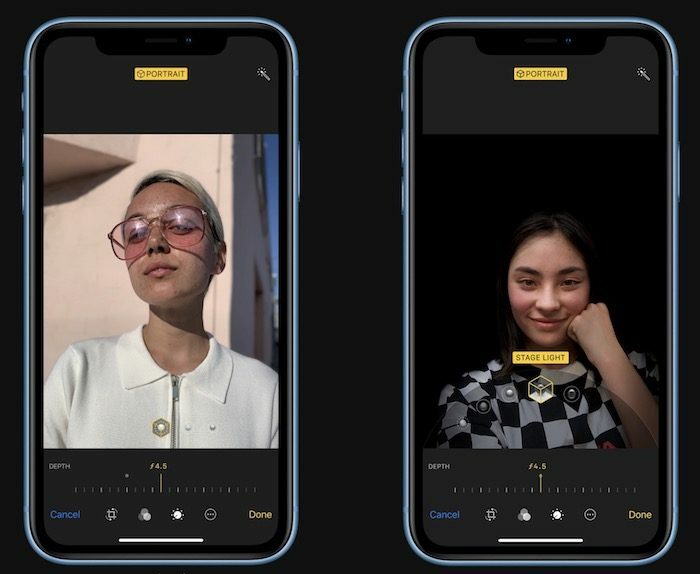 The iPhone XS and XS Max feature the dual camera design with a separate wide and telephoto camera module, while the iPhone XR sports a single wide-angle camera. All of the new iPhones capture 12MP images from the rear cameras and 7MP images from the front cameras. The XS models offer a 2x optical zoom and 10x digital zoom, while the XR offers only a 5x digital zoom. Additionally, all models feature the Quad-LED True Tone flash with Slow Sync. Notably, each of the new models features the Portrait mode with advanced bokeh and Depth Control. The presence of this feature on the single-camera iPhone XR is a step forward in computational photography for Apple. Previously, this feature was only available on its dual-camera models. The Depth Control feature allows you to adjust the bokeh effect using a slider to change the f/-stop after the image is captured. It’s a great feature; however, Apple touted it as revolutionary like it was an industry first. That’s simply not the case though. I first saw a simulated aperture feature in the Huawei Mate 9 last year and a similar feature is avialable in the Galaxy Note 8. Apple’s portrait mode looks and works great but it’s not the first. Time will tell if Apple can improve on what others who came before it have done. One the video side, all the new models capture video up to 4K/60p and 1080p slow motion video at 120fps or 240fps, along with optical image stabilization. The only difference for video capture among the new models is that the iPhone XR is limited to 3x digital zoom, while the XS models offer 2x optical zoom and 6x digital zoom. In video capture at 24p and 30p frame rates, extended dynamic range is available thanks to the A12 processor. What Apple is doing in real-time with the A12 processor is simply incredible. So much processing is happening with each image and each frame of video. The new iPhones with the A12 processor performs one trillion operations for each image they capture. Other than the minor camera differences, the iPhone XR is relatively well-spec’d compared to the flagship XS models. The other big differences include the use of an LCD screen instead of OLED. Additionally, the XR is limited to 256GB max storage options, while the XS models have 512GB options available. Pricing starts at $749 for the iPhone XR, $999 for the iPhone XS and $1099 for the iPhone XS Max. The iPhone XS models are available for pre-order on September 14 and released on September 21. The iPhone XR is available for pre-order on October 19 and available on October 26. Apple incorrectly bills “variable f-stop control in post” (or some words similar). It should be variable f-stop BLUR EFFECT, i.e. Bokeh. I don’t have an issue with it, but it is misleading. F-stop also effects the amount of light and therefore exposure, but what Apple is doing is using Gaussian blur applied to parts of the image that is a different distance away than the focused point. This is fine and arty, but is not variable f-stop. Obviously the exposure is not changed. I’ve also seen the changing DOF effect in the Pro Cam app!